I have lived in Peru for quite a few years now, and in that time I can say that I have visited quite a lot of museums around the country. Generally speaking, only a small handful of the museums I have visited I thought really worthwhile, with many of them lacking structure and information. For me, above all, and whatever the subject matter, a trip to a museum should be interesting and informative. It should tell a story of the history that it is displaying clearly and concisely, and leave you feeling better informed about the subject matter. Recently I took a day out to visit some of the prominent museums in Cusco, and thought it worthwhile writing a short article about the ones that I thought are really worth visiting, and the ones that are worth avoiding. 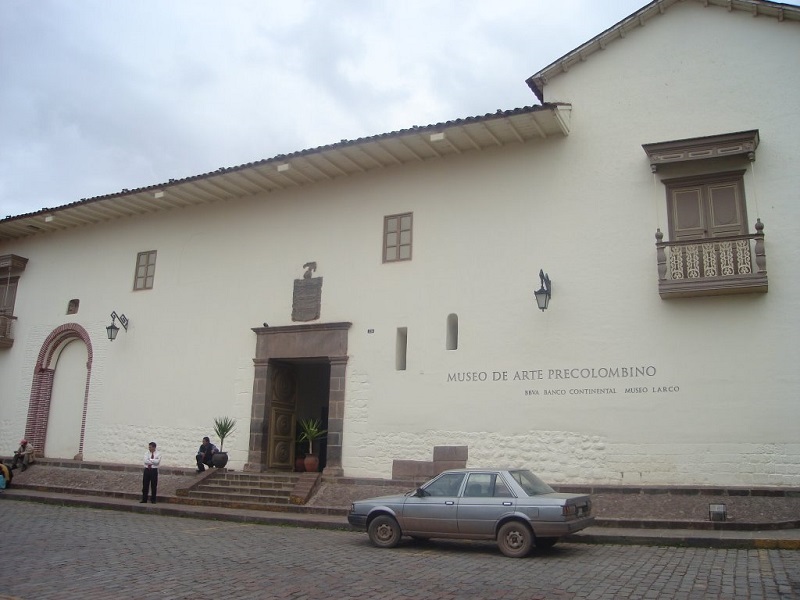 This is the newest museum in Cusco, opening its doors for the first time in 2012. 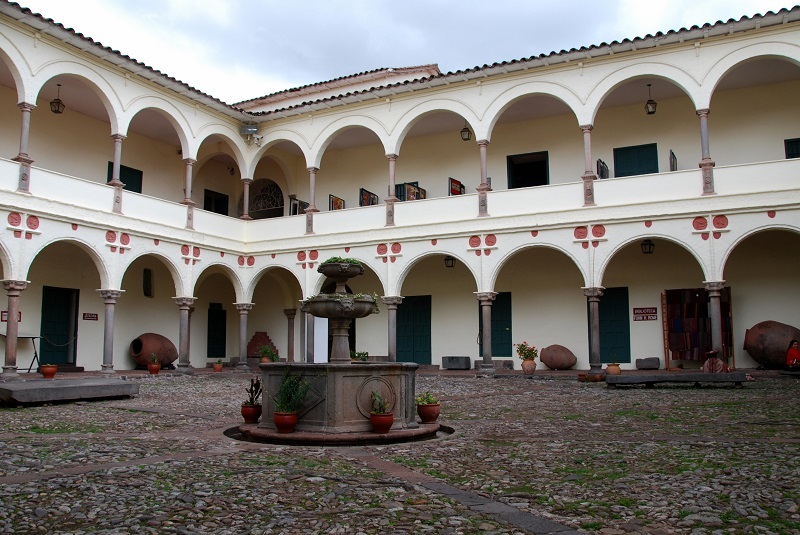 The museum is a joint creation between Cusco’s San Antonio Abad University and experts at Yale University in the US. The museum is dedicated to the history of Machu Picchu and the people that lived there. It is also home to some 4,000 ancient artefacts that were taken from the site of Machu Picchu during the excavation by Hiram Bingham and his team of archaeologists in 1912. Currently there are 11 exhibition rooms, each of which has been carefully created to offer an interesting insight into aspects of Machu Picchu life and history. For me, I can honestly say that I was actually quite impressed with the museum. I found it to be well presented, organised and quite informative. This is possibly one of the best museums in Cusco, and certainly worth a few hours of your time. The security guard at the door told me that this was the biggest and best of all museums in Cusco, so I was intrigued to find out what was inside. 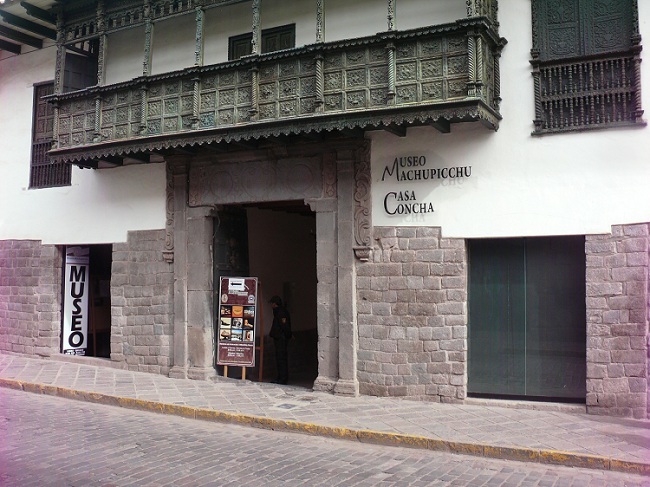 Museo Inka is a state owned museum run and managed by Cusco’s San Antonio Abad University. Located on the small road that links Plaza de Armas to Plazoleta Nazarenas, the museum is ideally set in a huge colonial mansion. Although the staff were friendly, I wasn’t provided with any information about the museum, or any direction on where to start the tour. After going up a large circular stairway, I eventually I found my way to the start of the exhibition rooms. All in all there were 24 exhibition rooms to view, each dedicated to different periods of the Inca and Spanish history of Peru. Overall, I was hugely disappointed with the layout of the museum. There seemed to be only a very limited amount of information (even in Spanish) about the items exhibited, or even what they were. For sure there were endless amounts of things to see, but without any direction or additional information, quite frustrating. They say “less is more,” and in the case of this museum, a little less artefacts and a little more explanation would have gone a long way to enhancing my enjoyment. For me, this is definitely not one of the best museums in Cusco, and probably not worth including on your list of places to visit. This well-kept museum located on the quiet and upmarket Plazoleta Nazarenas is a must visit. 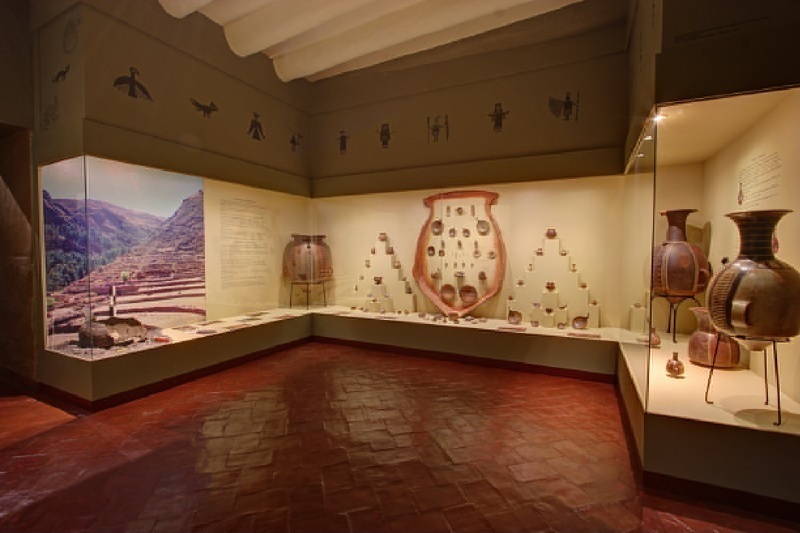 Privately funded by the Larco Museum and Peru’s BBVA Bank, Museo de Arte Pre-Colombino or MAP Museum (known locally) is dedicated to artefacts found in Peru prior to the arrival of the Europeans in the mid-15th century. I found the MAP museum to be a delight to visit. Covering 2 floors of a Spanish colonial-era Casona, the 11 exhibition rooms were well kept and minimalistic; a bit like a fancy art gallery where the focus is on the exhibits. Each exhibit was well presented with a really well written description in both English and Spanish, offering an insight into the item, without over indulging. I particularly enjoyed the wooden sculptures (totem pole like figures) and the ceremonial staffs from the Chimu culture (1300 – 1532 A.D.). Although this is technically not a full blown museum, I was that impressed when I entered that I thought it deserved a mention in this article. 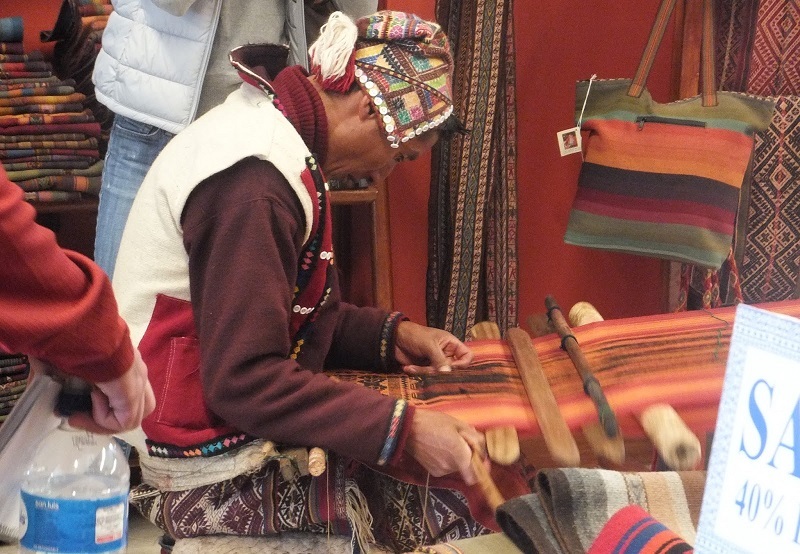 Located just past the gardens of the Temple of Korikancha on Avenida el Sol, the Centro de Textiles Traditionales del Cusco is a small shop and exhibition dedicated to the art of weaving from the Cusco region. Operated as a cooperative by 9 local village communities, the shop is principally an outlet for hand-crafted and woven textiles from the various communities. Within the shop there is also a well-presented exhibition of how the items are manufactured, from the yarn through the dying process to the different weaving techniques and tools. The exhibition also displays various items of traditional garments including: baby clothes, cloths for teenagers, wedding robes and festival outfits. If you decide to buy something in the shop, look out for the photo of the weaver attached to the product, and be safe in the knowledge that 70% of the sale goes directly to the weaver. As museums in Cusco go, this is certainly worth taking 10 minutes of your time to visit. Entrance to the Museo Histórico Regional de Cusco is included within the ‘Boleta General Turistica’ meaning that if you already have the ticket in your possession, entrance is free. This is probably one of the most important museums in Peru for its own history. This Museum was once the home of Garcilaso de la Vega, until he moved to Spain in his early 20’s. Garcilaso de la Vega was the son of an Inca princess and a Spanish conquistador, who later in his life went on to write several important chronicles depicting Inca life. For sure, the Museo Histórico Regional de Cusco is one of the better museums in Cusco, and a great deal of effort has gone into creating interesting exhibits dedicated to the entire history of the Cusco region. Included are exhibits on gastronomy, religious art, evangelization of Cusco, Inca Tupac Amaru and colonial furniture. From a personal stand-point I would have to say that this museum is for the dedicated museum enthusiast. For me, it was a little intense, perhaps a bit like being in a 2 hour history lesson where I only took in about 30% of what was being taught. As museums in Cusco go, this one is certainly well organised, and full of interesting exhibits, but perhaps it wouldn’t be right at the top of my museum priorities. For more information about everything to do with Peru make sure you visit our comprehensive Guide to Peru.